It's that time of year again when Costco has a variety of fruit trees for sale. 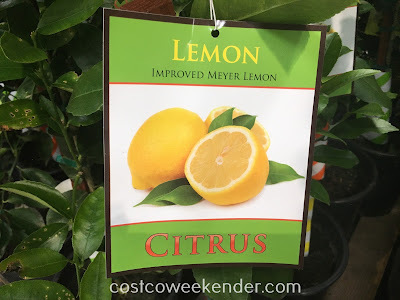 These assorted varieties of citrus trees usually make their appearance in February or March every year at Costco before spring and, even more importantly, the planting season. 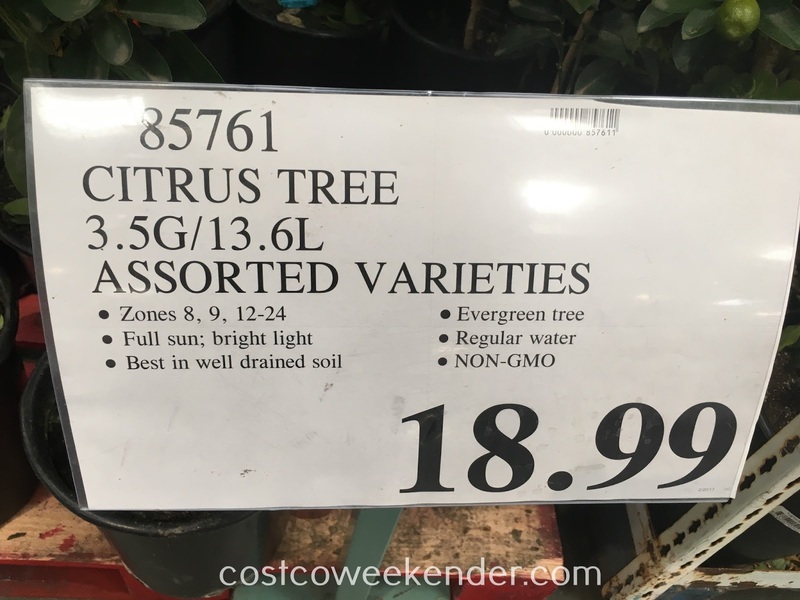 These fruit trees at Costco are a really good deal versus getting something comparable at a nursery or hardware store. 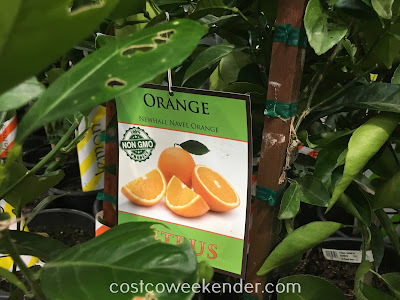 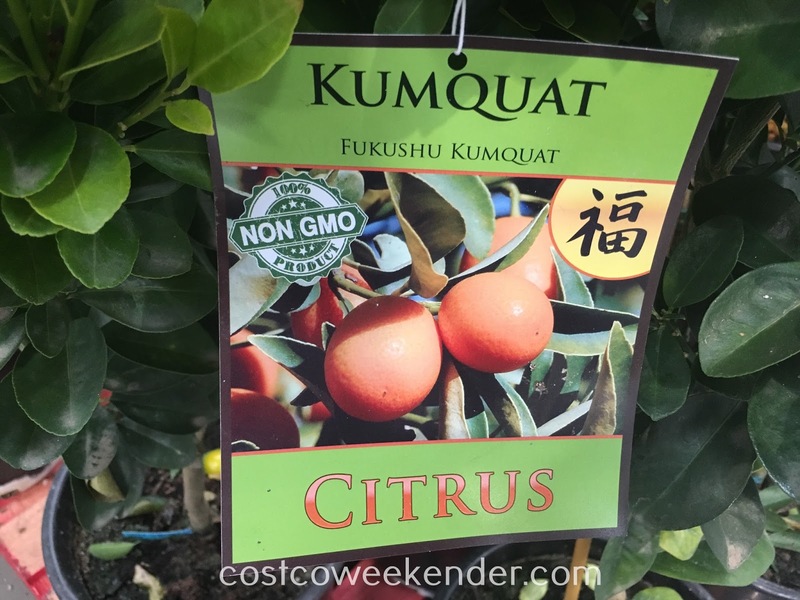 You can just get a few of these (choose from navel oranges, meyer lemons, fukushu kumquats, limes) trees and plant them in your garden or backyard. 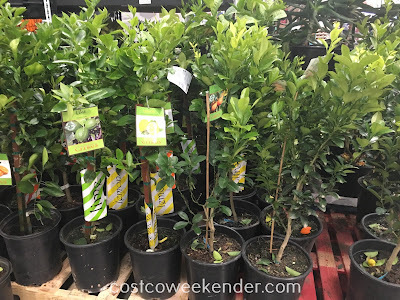 They should grow in no time and be able to bear fruit within a few years with proper care. Not only that, but they have the potential to provide valuable shade when it's too hot and act as a windbreakers. We actually have a plum tree from Costco that we planted in 2014 and it's already producing some sweet plums. You better act fast now for these citrus trees because once they're all sold, Costco won't have any more of these until next year.